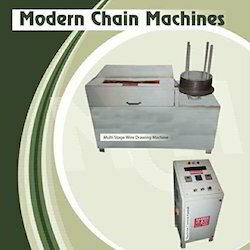 This is multistage seven pass wire Drawing Machinefor making wire of all kinds of metals. Keeping in sync with the latest market norms and policies, we are indulged in providing a high quality range of Wire Flattening Machine. We are dedicatedly involved in providing an excellent quality array of Single Cable Top Cable Machine, for catering the various needs of our clients. Mesh chain machine is suitable to make chains of gold wire, silver wire, titanium wire and other precious metal wire from diameter 0.07mm to 0.30mm. 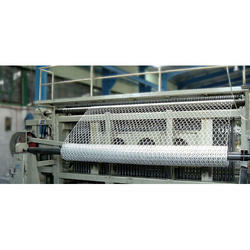 It can produce round chain of diameter 2 mm to 20 mm and flat mesh from 2mm to 20mm width. We offer complete fully automatic lines for all type of cables for House wiring, Power cables, XLPE cables, Rubber Cables, instrumentation and special cables etc. High security seal making machine for container seals, pipe line seals, meter seals, oil container seals.